On the week that Great British Bake Off returns to our TV’s, this seemed like the perfect challenge for me to make. I’m so excited to see what’s in store for this year’s contestants and to get lots of inspiration for future bakes 🙂 We’re even having our own bake-off at work. 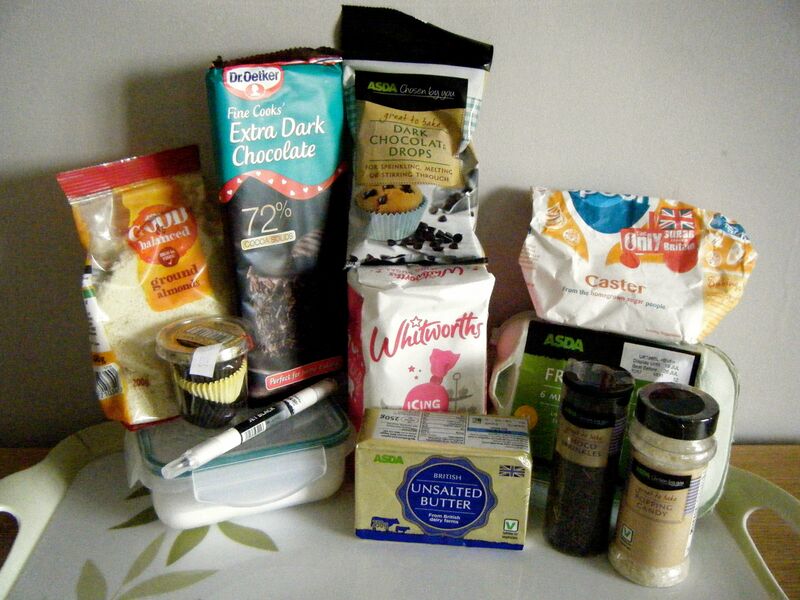 We each have a contestant and the week the contestant goes out the competition, you have to make a cake for the office. 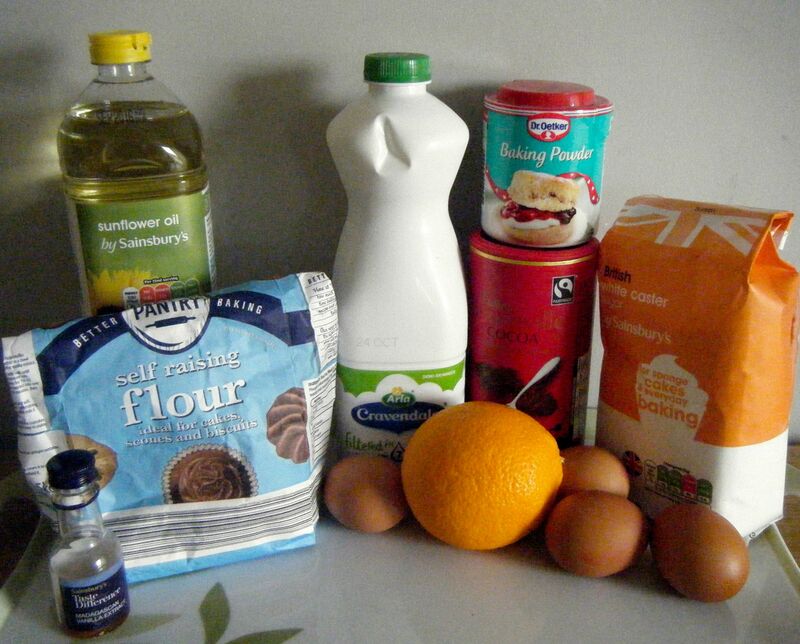 I’ve got to get my thinking cap on so I can make a great cake and I’m hoping my contestant (Paul) does well! I’ll be sure to post a picture of my cake when he goes out or (hopefully) wins! 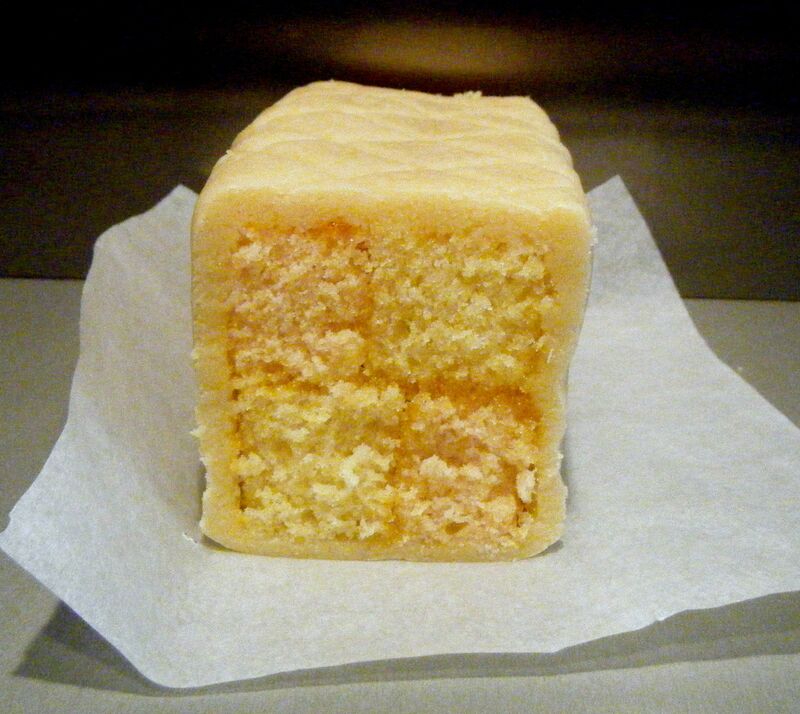 For this challenge, I decided to make everything from scrap, so I spent Sunday making apricot jam, marzipan and the sponges before putting it all together to make a beautiful battenberg treat. I used one recipe for the jam and another for the battenberg. 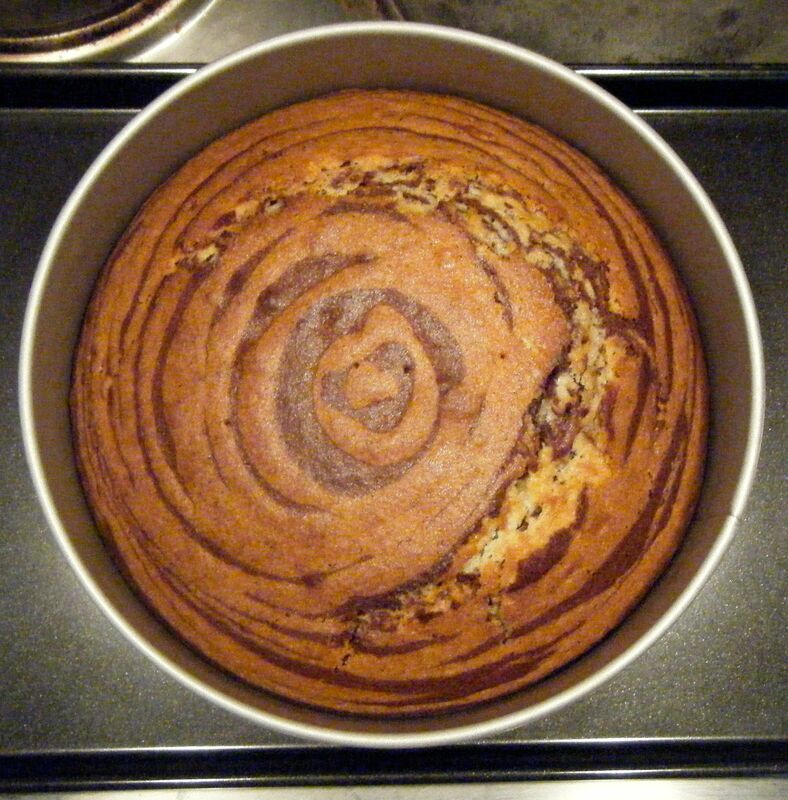 I then adapted the recipe from Challenge 15 Simnel Cake for the marzipan. I started off by making the jam. 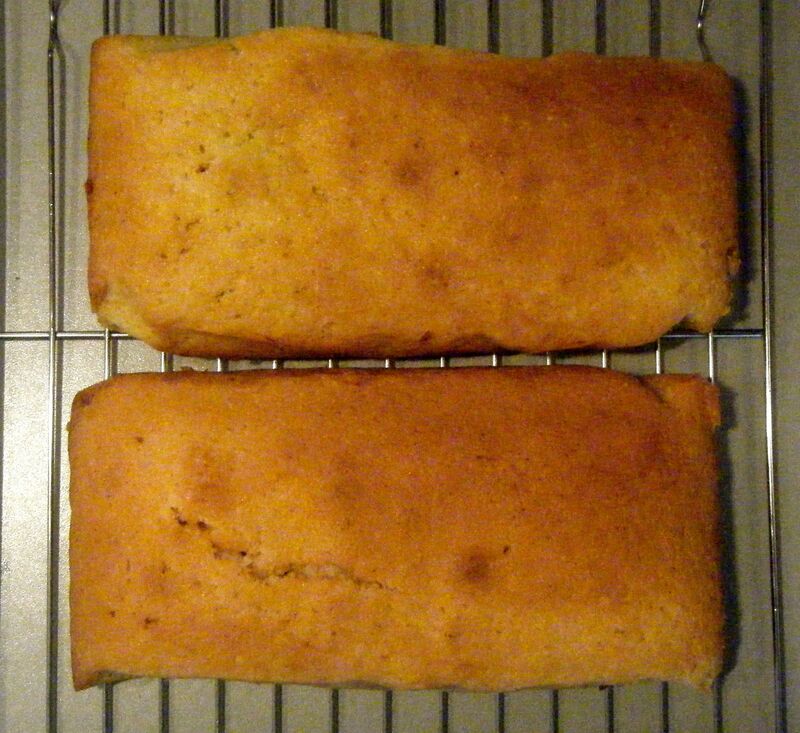 The recipe will make far more than you need for the battenberg (I filled one large jar and one small jar) but it tastes so yummy and will keep in the sterilised jars, it doesn’t matter. 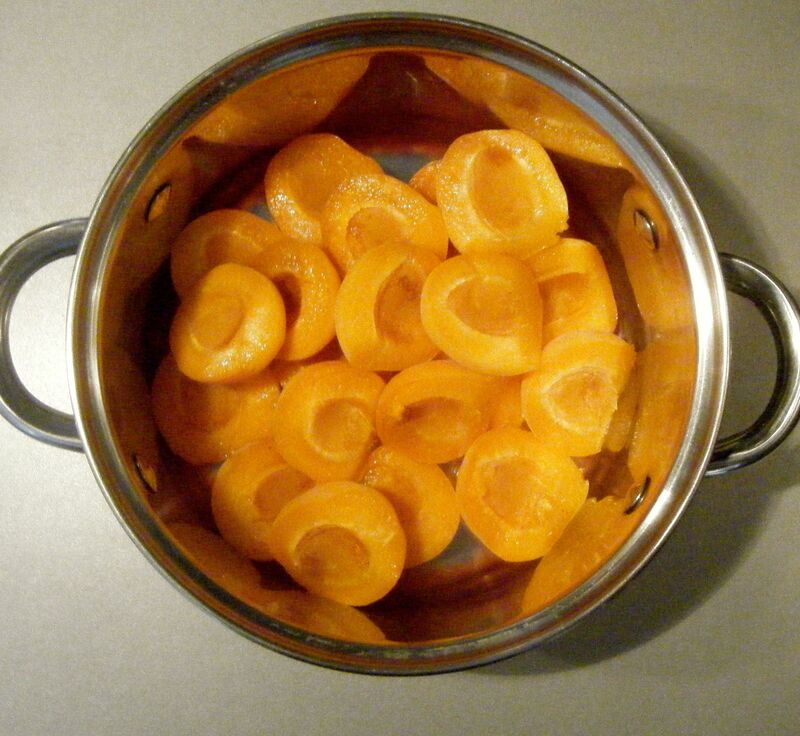 I washed the chopped apricots and then put them in a large pan with the lemon juice and water. I put the pan over a low heat and slowly brought the liquid up to a simmer. Practical tip: when juicing a lemon, pop it in the microwave for around 30 seconds to warm it slightly as this will help release more juice. Once the liquid was simmering (careful not to boil it at this stage!) I set the timer for 15 minutes and waited patiently. 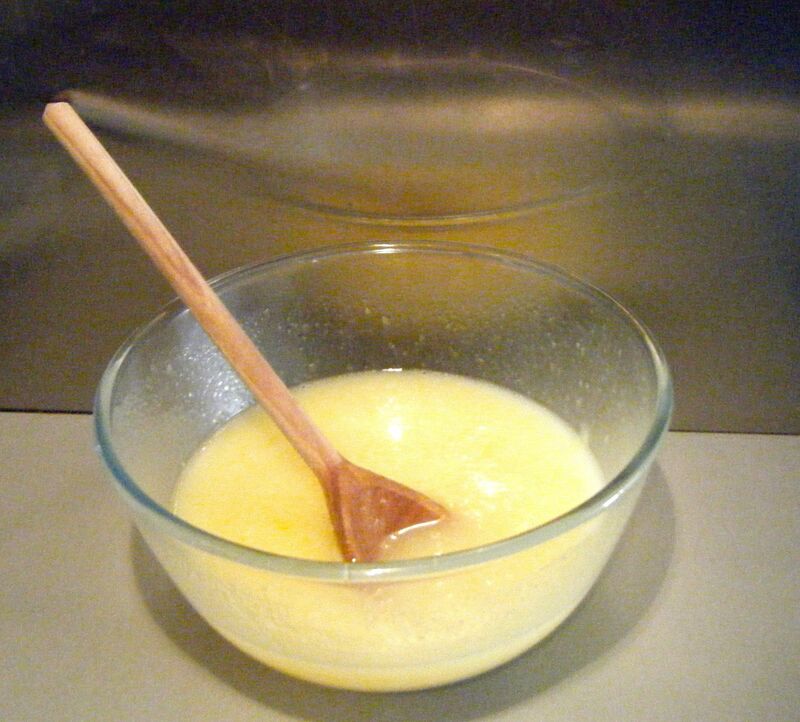 When the timer went off, I took the pan off the heat, poured in the caster sugar and stirred until this was fully dissolved. 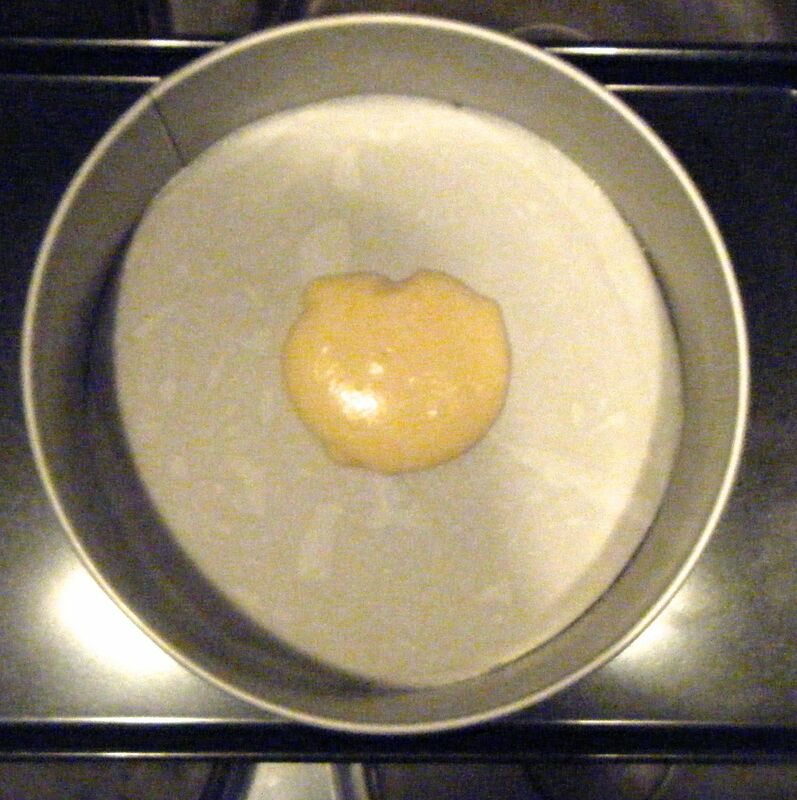 I then added the butter, returned the pan to the heat and turned up the temperature slightly. Once the mixture was boiling I set the timer for another 15 minutes and put a small plate in the fridge to chill. When the 15 minutes was up, I used a teaspoon to put a small amount of the jam on the chilled plate. I waiting 1 minute and used my finger to push the jam. It was still a little runny so I left the pan bubbling for another 4 minutes. I then tested it again and decided it was practically there. I put the jam into my sterilised, hot jars and put the lids straight on. I also put a little jam into some tupperwear to use for the battenberg so I could keep the jars sealed for another day. 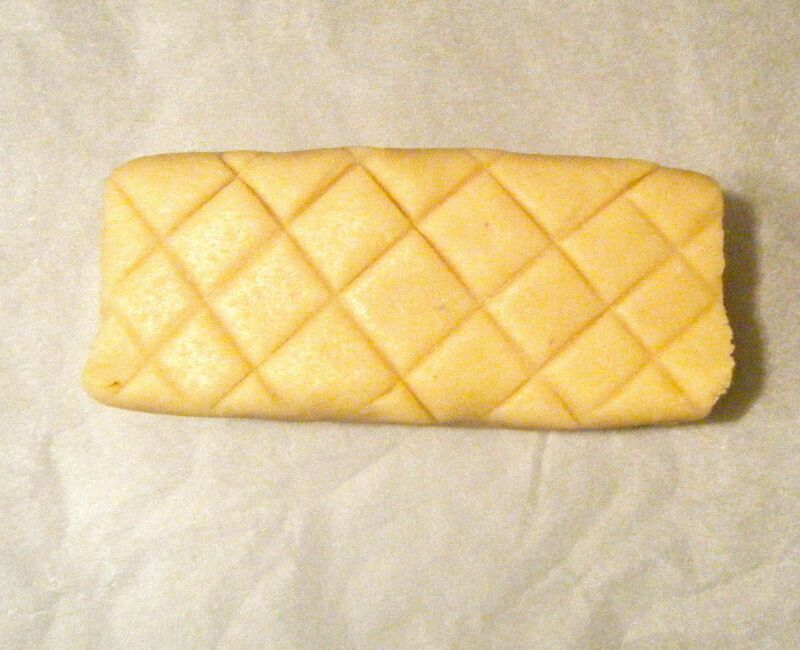 With the jam done, I got started on the marzipan. 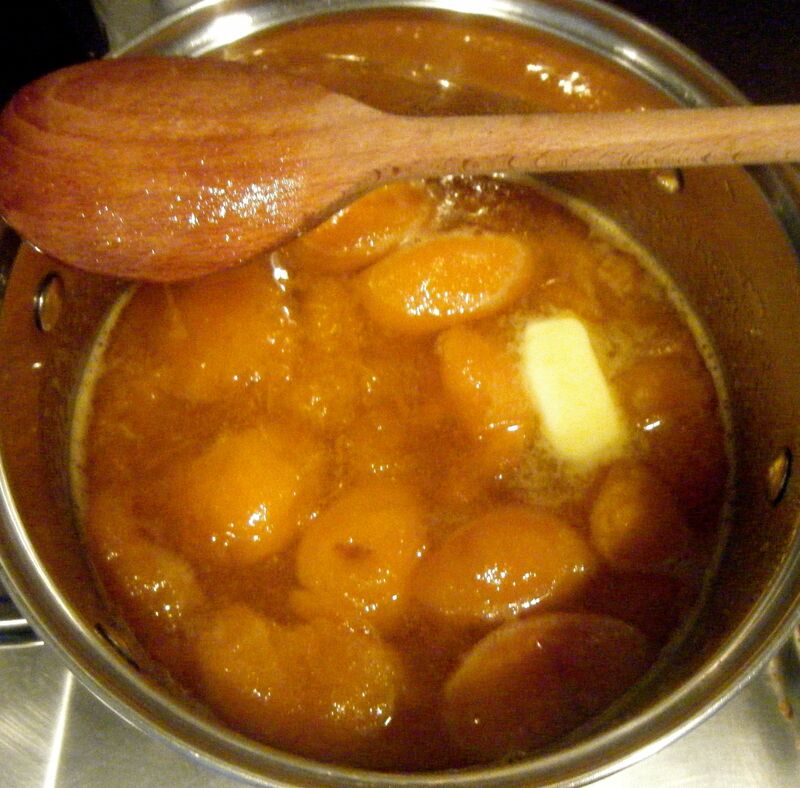 I sifted the icing sugar into a bowl and added the caster sugar and ground almonds. I mixed it all together and then made a well in the centre. I put the egg, almond extract and lemon juice into a jug. 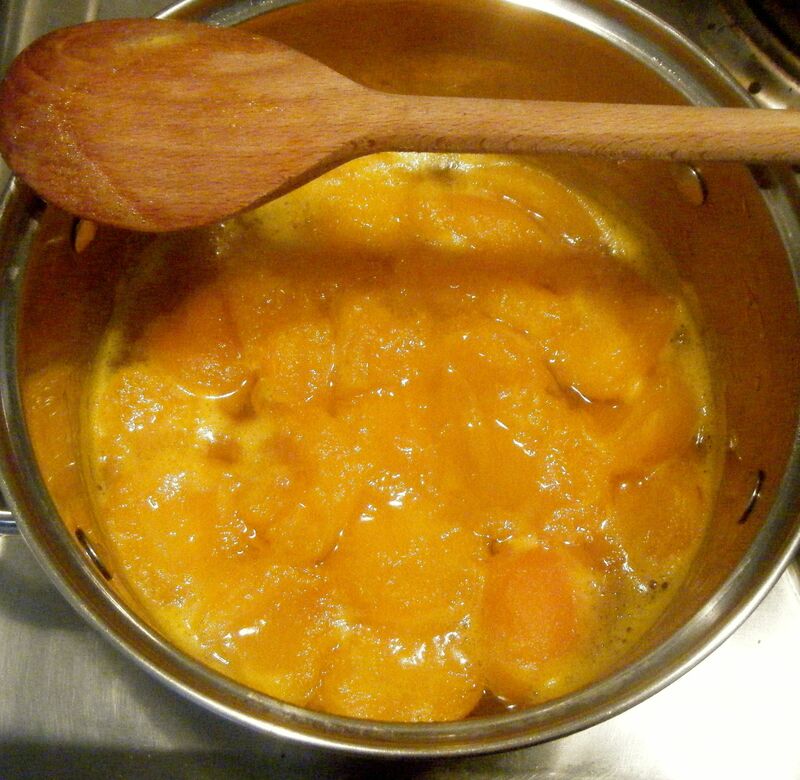 I then poured it into the well in the dry ingredients and started to bring it all together with a spoon. It then reached the point where I needed to get my hands dirty and I finished mixing it by hand until I had a ball of paste. 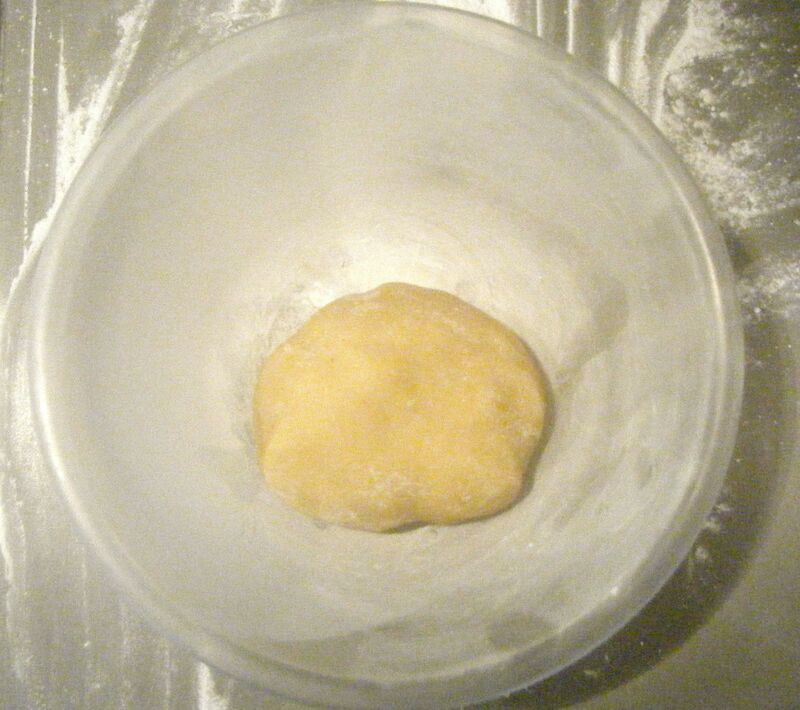 I put the marzipan ball into a bowl (dusted with icing sugar) and covered it with cling film. 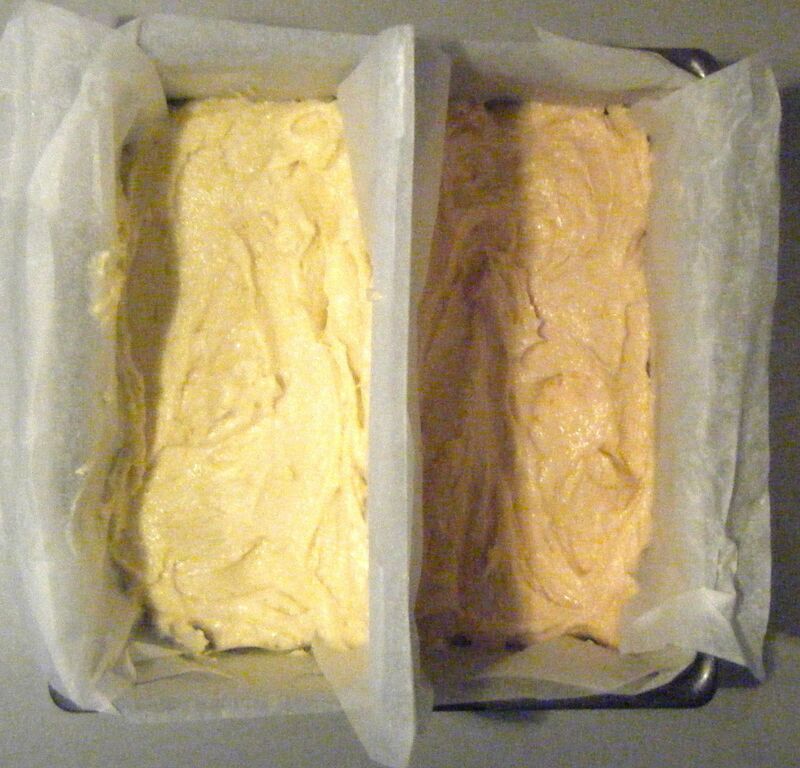 Whilst the marzipan was resting for 2 hours, I got started on the cake. 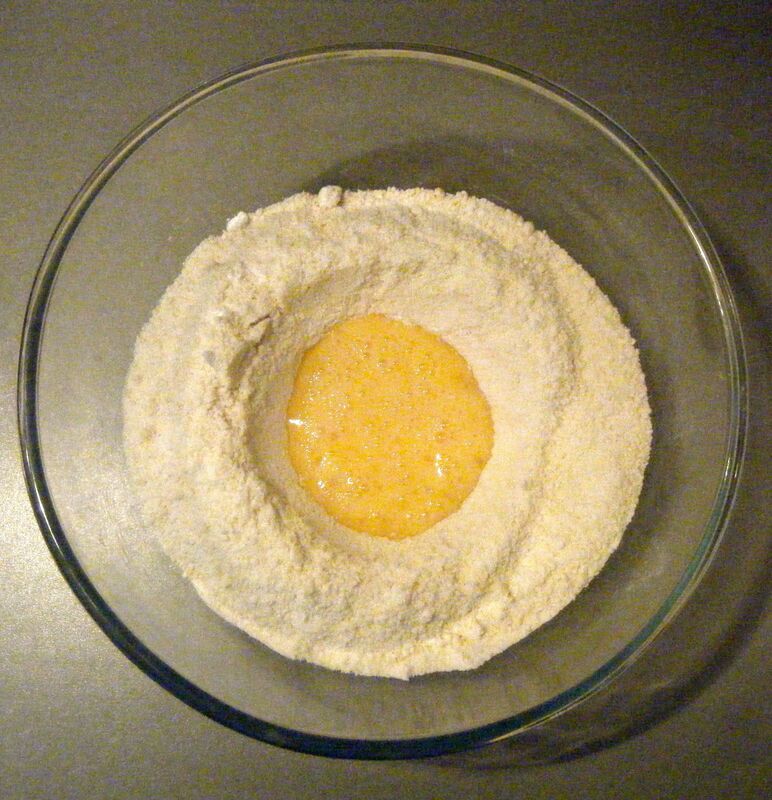 The recipe uses the all in one method. 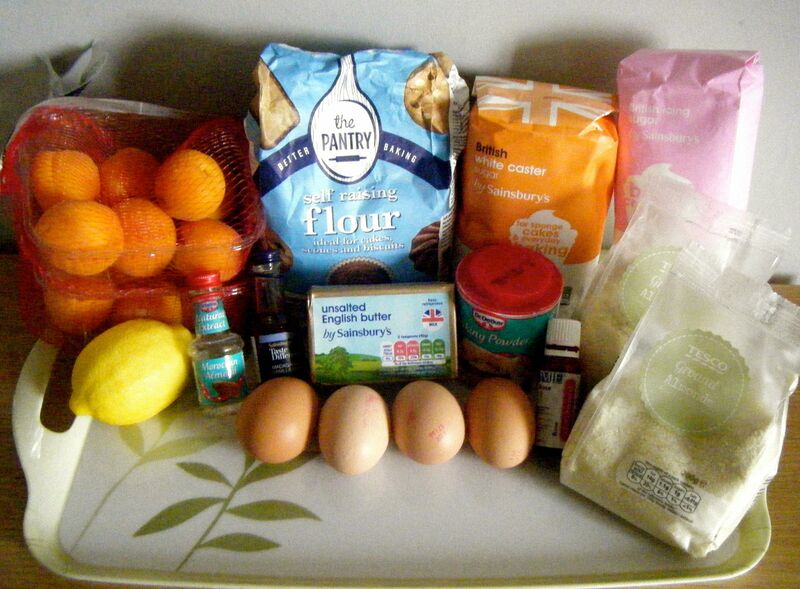 So I started by putting the caster sugar, flour, ground almonds and baking powder into my bowl. 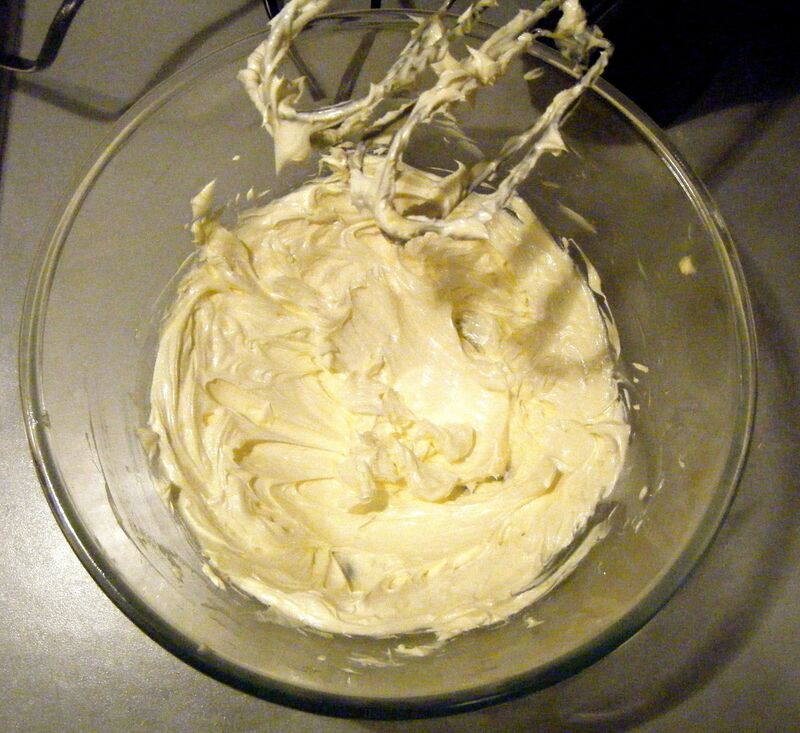 I added the softened butter, the eggs and vanilla and almond extract. 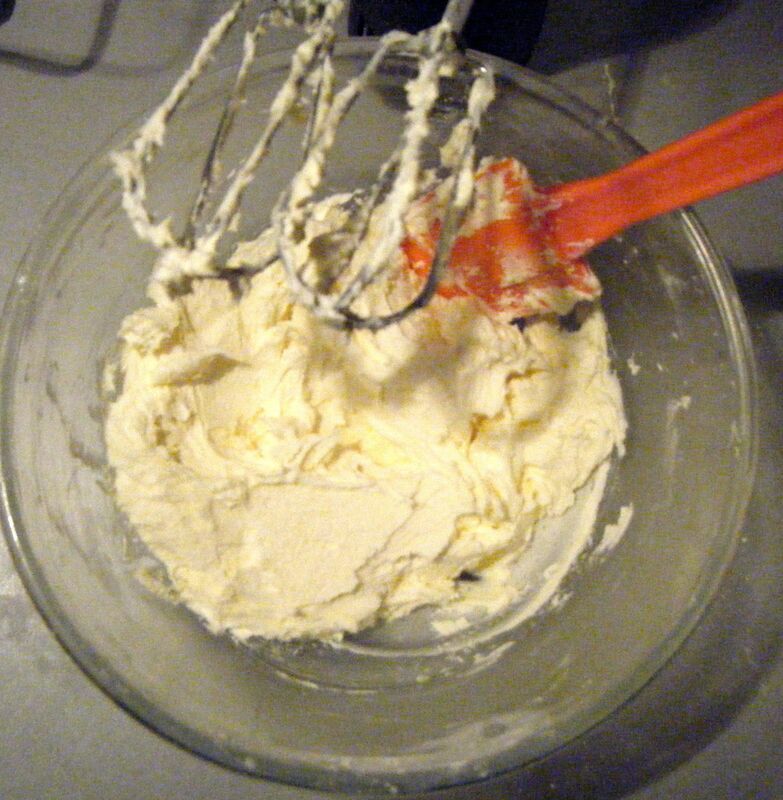 I gave it a quick mix with a wooden spoon to start bringing it together and then finished the job with my handheld electric mixer until combined. 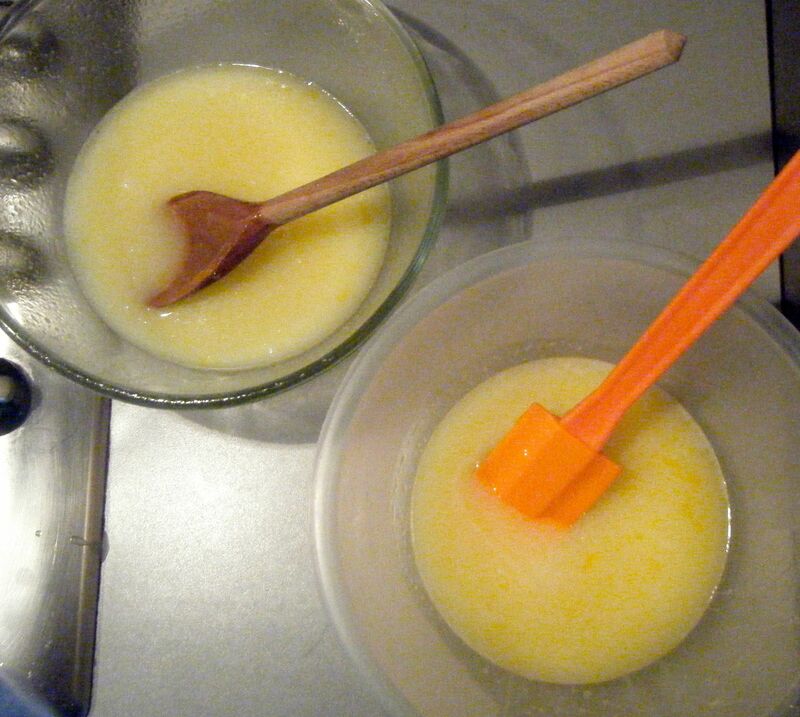 I then separated the mixture into two separate bowls; using the scales to try and make sure it was roughly even. I added some food colouring to one of the bowls and mixed until the colour was even throughout. In hindsight I should have added a touch more colouring as my pink cake was not very pink but its one to remember for next time. 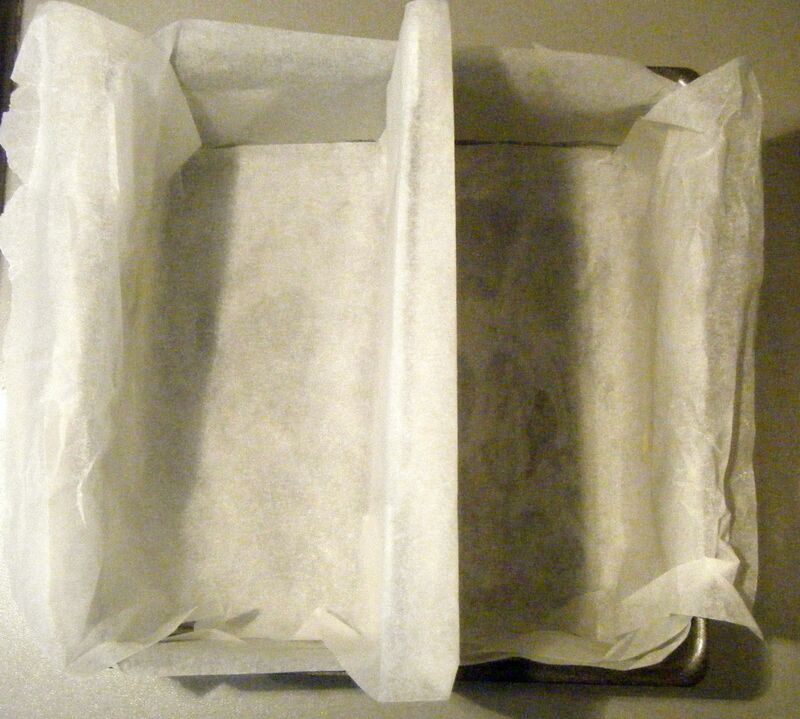 I don’t have a battenberg cake tin so I followed the recipe to separate my 20cm tin into two halves. A bit of foil, some baking paper, some special folds and I was done. It wasn’t as neat as I’d have liked and my sponge ended up a bit wonky but because I had to trim it down anyway, I wasn’t too worried. I put the different coloured mixtures into each side of the tin and popped it in the oven on 180 degrees celsius for 20 minutes. I then checked the cake and left it in for approximately another 7 minutes. 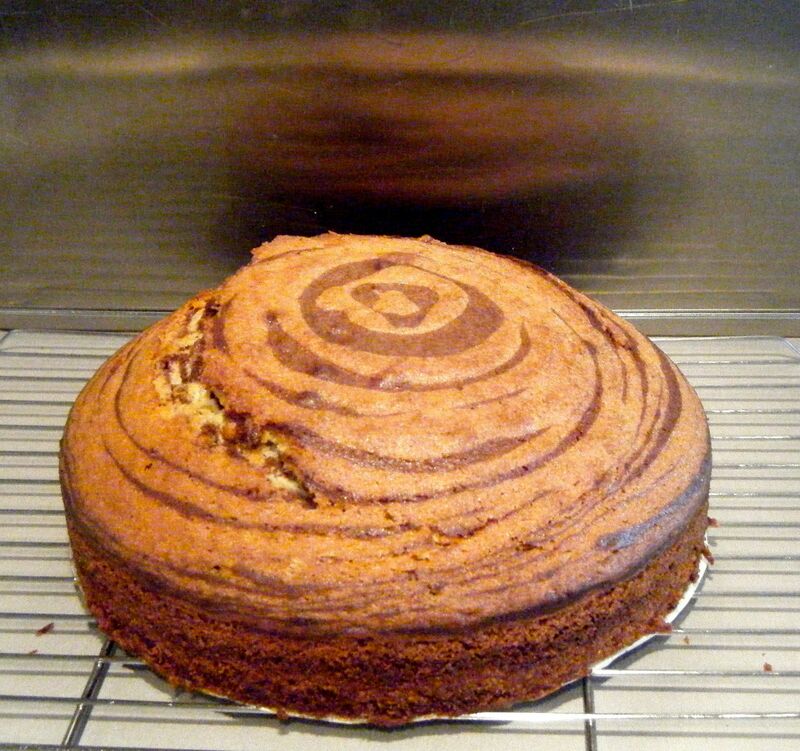 Once the cake was cooked, I left it in the tin for 5 minutes before turning out onto a cooling rack. I waited until the cake was completed cool before trimming it into 4 equal oblongs. 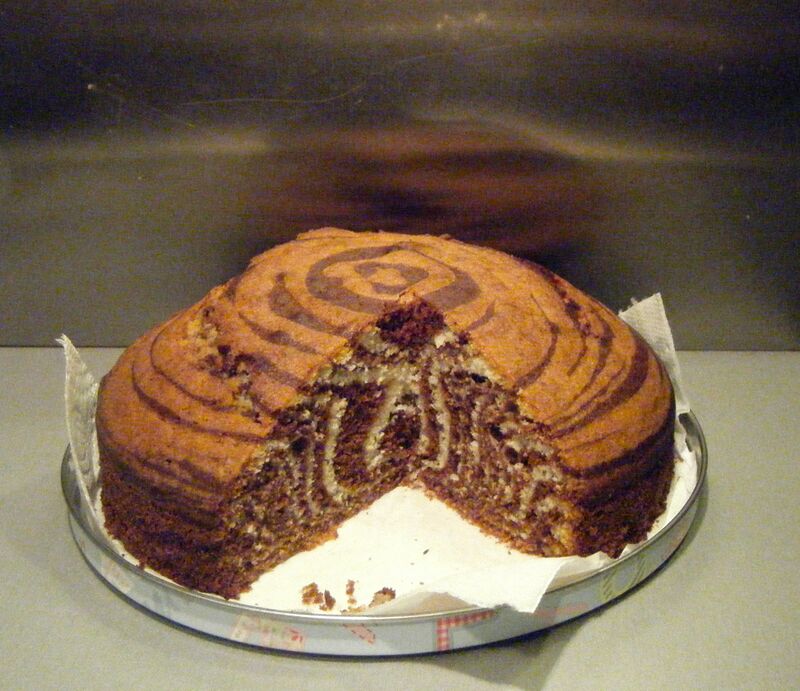 Practical tip: be sure to trim off the top, bottom and sides of the cakes before cutting in half lengthways. I then started to roll out my marzipan. 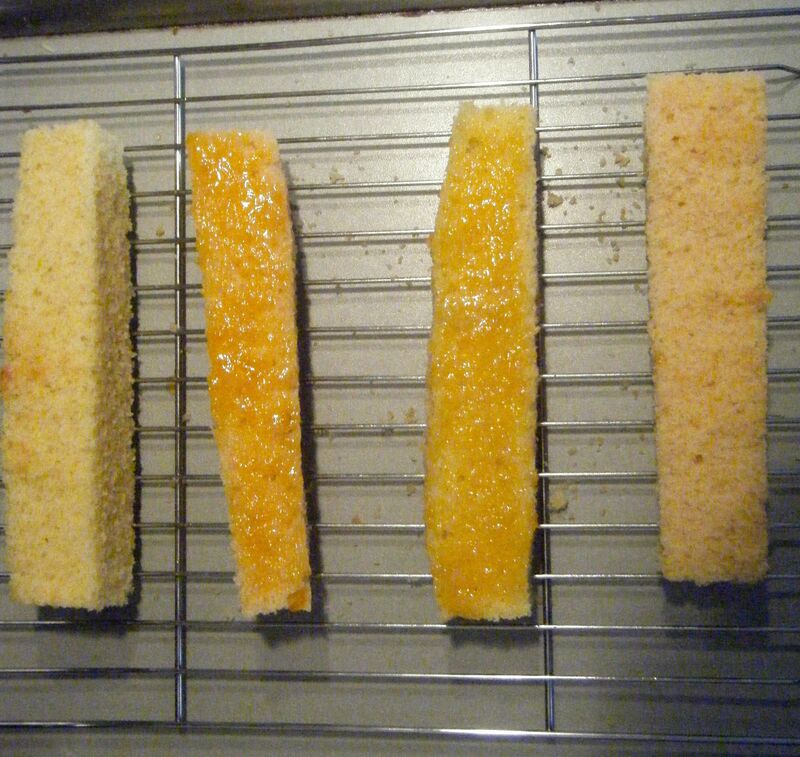 I positioned the slices of cake together to check whether I had rolled it big enough and had to make it a little longer. 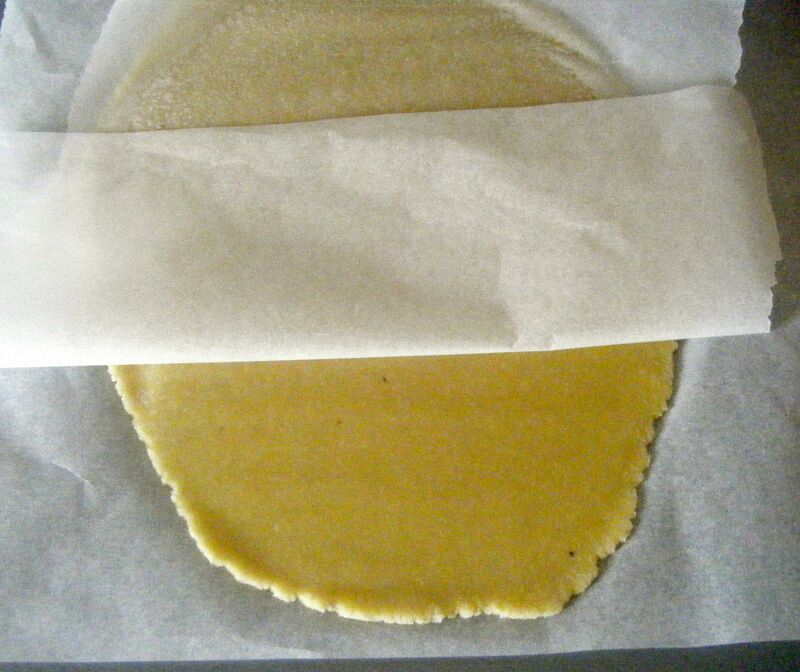 Practical tip: put the marzipan between two pieces of baking parchment to roll it out. This stops it from sticking to the worktop or your rolling pin but also means you won’t risk ruining the texture by adding more icing sugar. I them heated up some of my jam and started to put it all together. 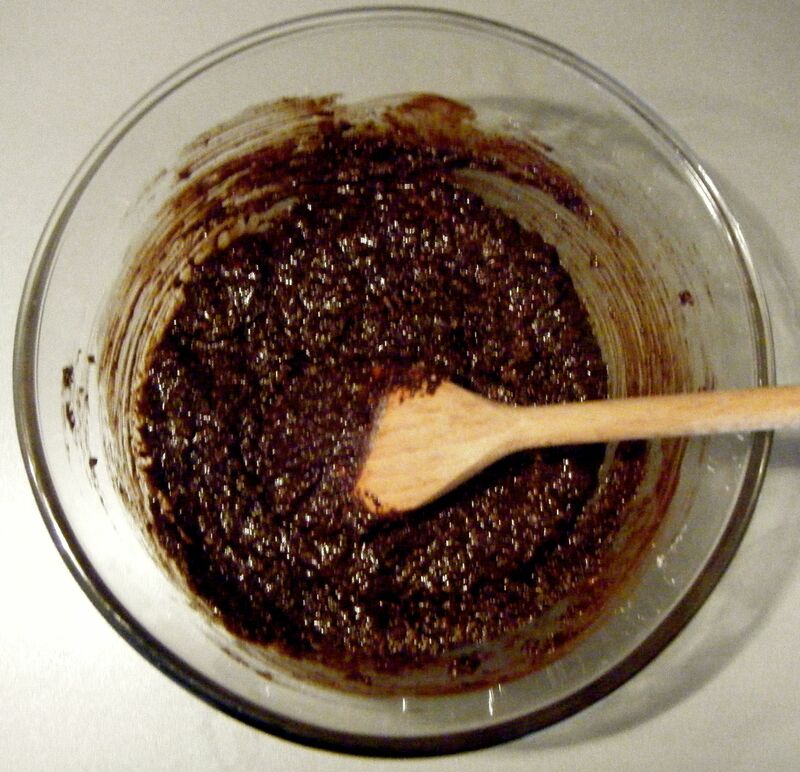 The recipe says to push it through a sieve but I decided not to do this as I didn’t think it was all that necessary. 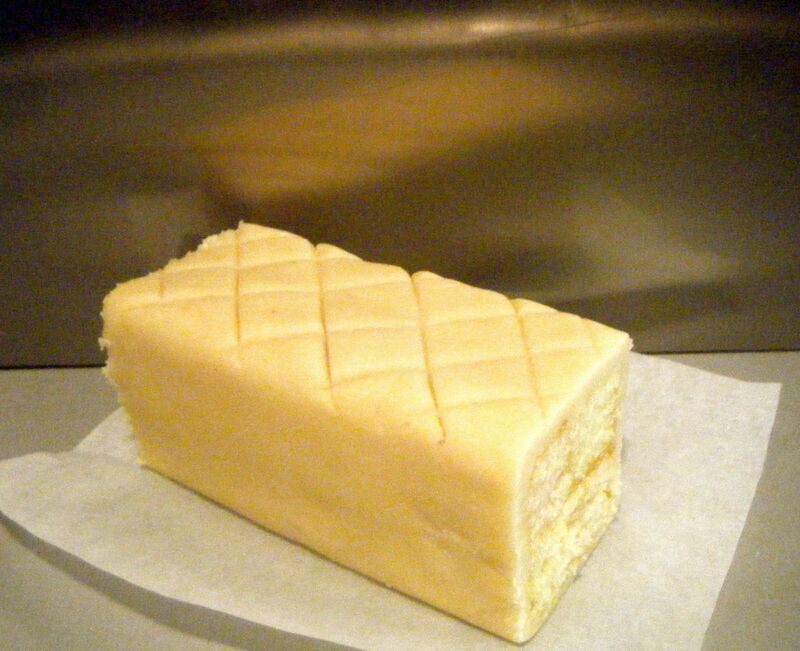 I brushed the sides of my cake slices and put them together in a chequered pattern. I put the cake onto the marzipan and rolled it over to cover. I used my fingers to gentle press the join together. I trimmed the edges and used the back of a knife to score a pattern into the top. Coming up next week, Challenge No. 32 – leek and gruyere quiche. Hope to see you then. 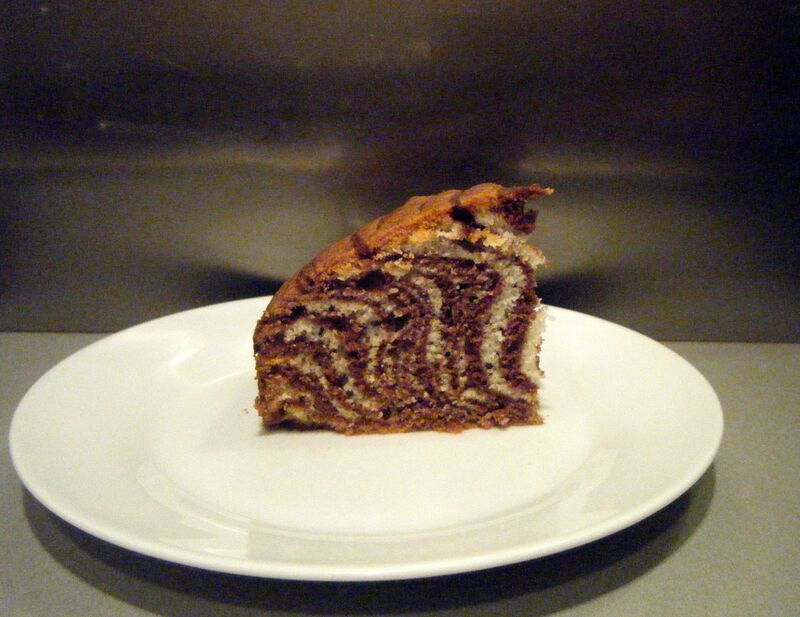 This challenge wasn’t actually suggested by any friend or family for Challenge52, however, it is a bake which I owed to a friend from a couple of years ago. Chloè absolutely loves pandas and she found some photos of panda cupcakes and sent them to me. 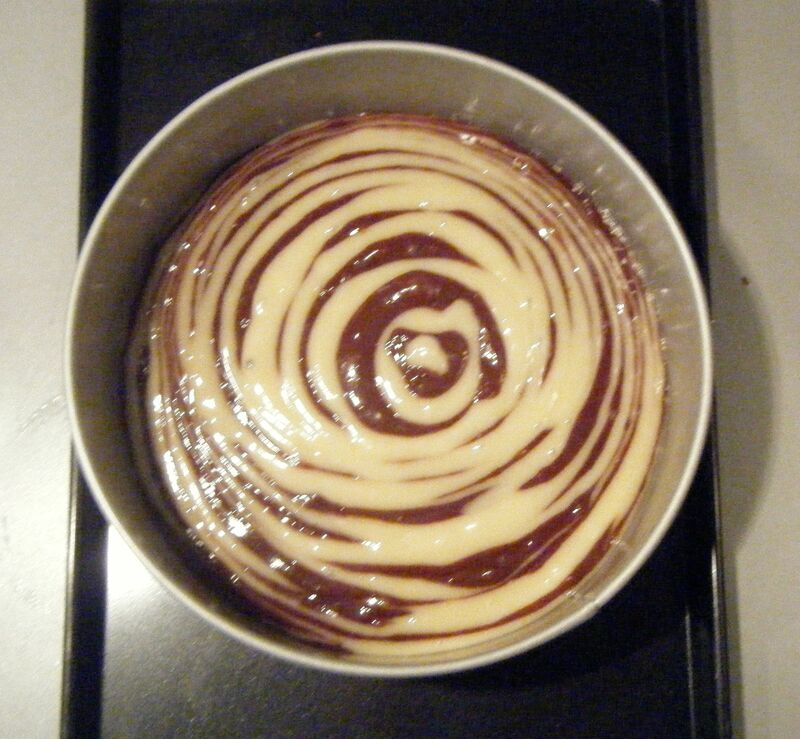 I offered to make them for her birthday but unfortunately life got in the way and I didn’t manage to do it. So I added this one to Challenge52 myself as a special gift for Chloè’s birthday. 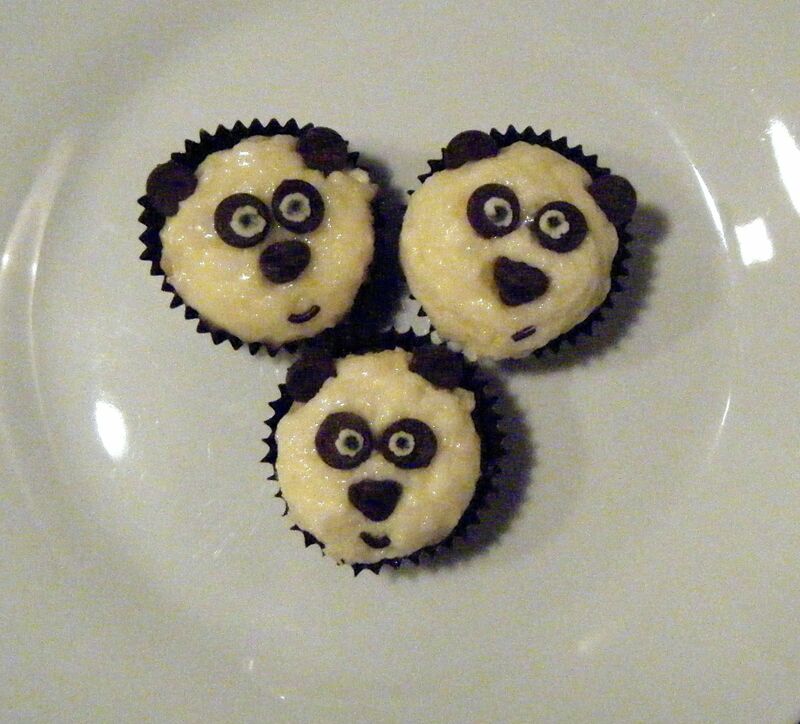 These cute mini panda cupcakes have been inspired by Bakerella. Whilst Bakerella gives you all the tips you need to decorate the cakes, I needed to find a gluten free cake recipe for Chloè. 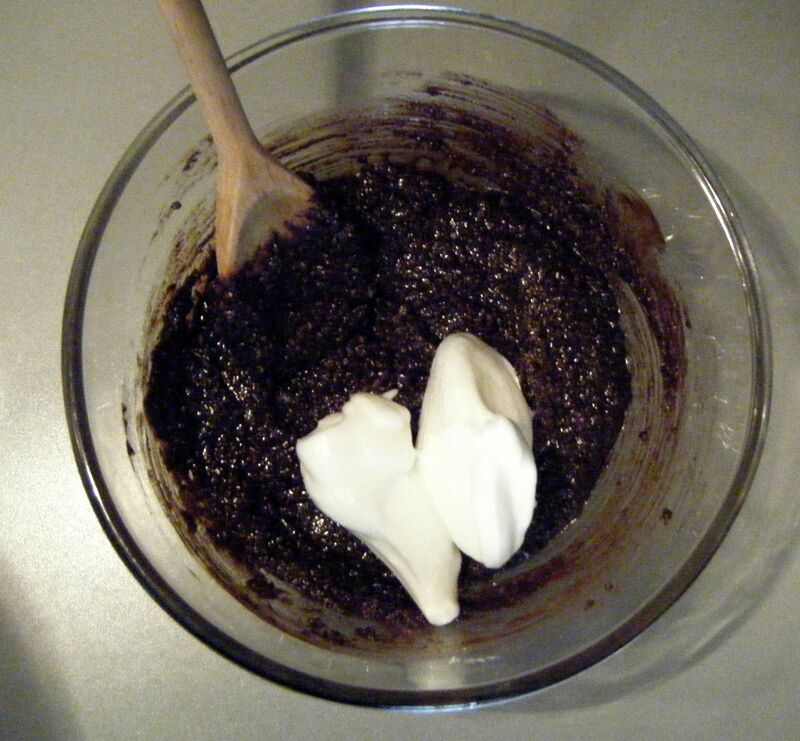 I did a quick search and found this recipe for a gluten free chocolate cake. 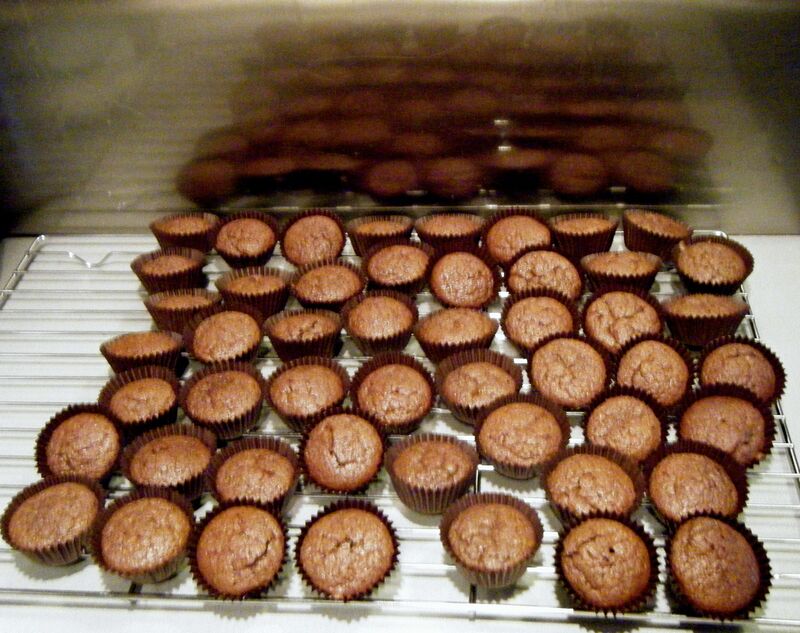 Bakerella uses sanding sugar which is a special type of sugar used in baking and cake decorating. 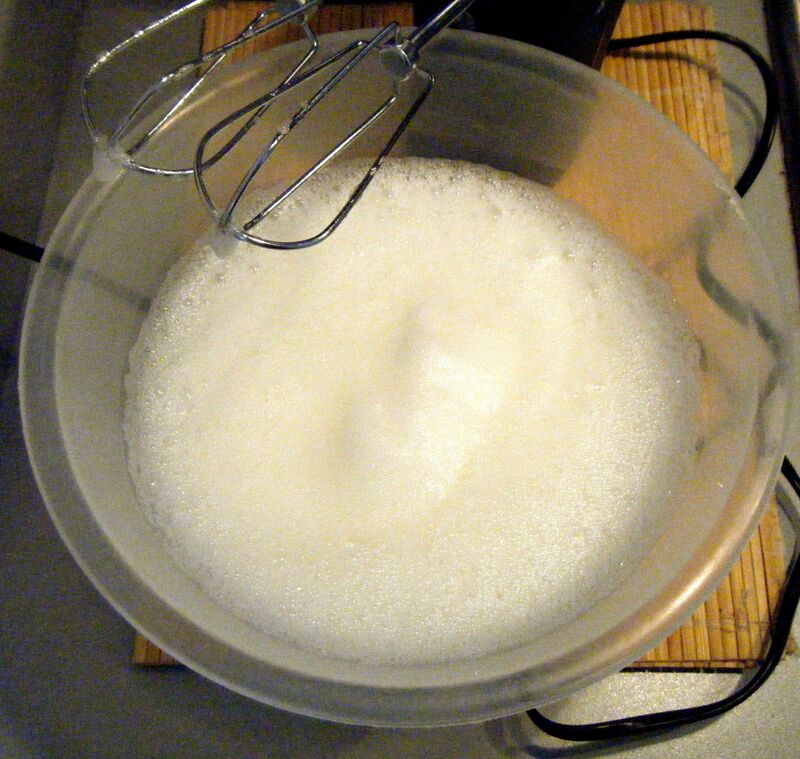 It has an extra sparkle compared to normal granulated sugar and it can be cooked and added to icing without dissolving. I couldn’t find any sanding sugar in my local shops so I thought I would try it with popping candy as it was the closest colour to what I needed. 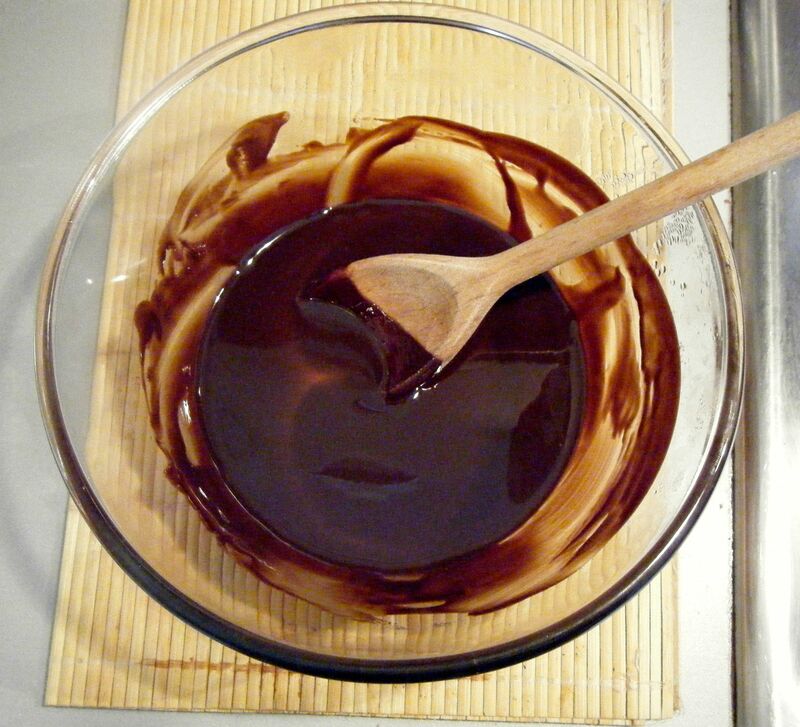 I started by putting my diced butter and broken chocolate into a heatproof bowl over a pan of simmering water. I kept string and then once the butter and chocolate were melted I took it off the heat and mixed until it was well combined. 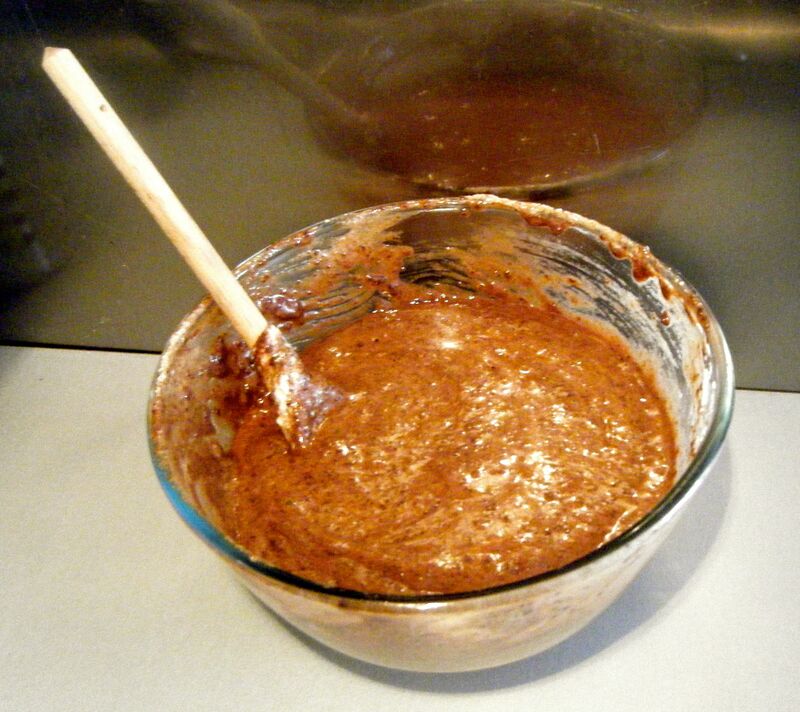 I let the chocolate butter mixture cool for 5 minutes and spent the time separating the eggs. 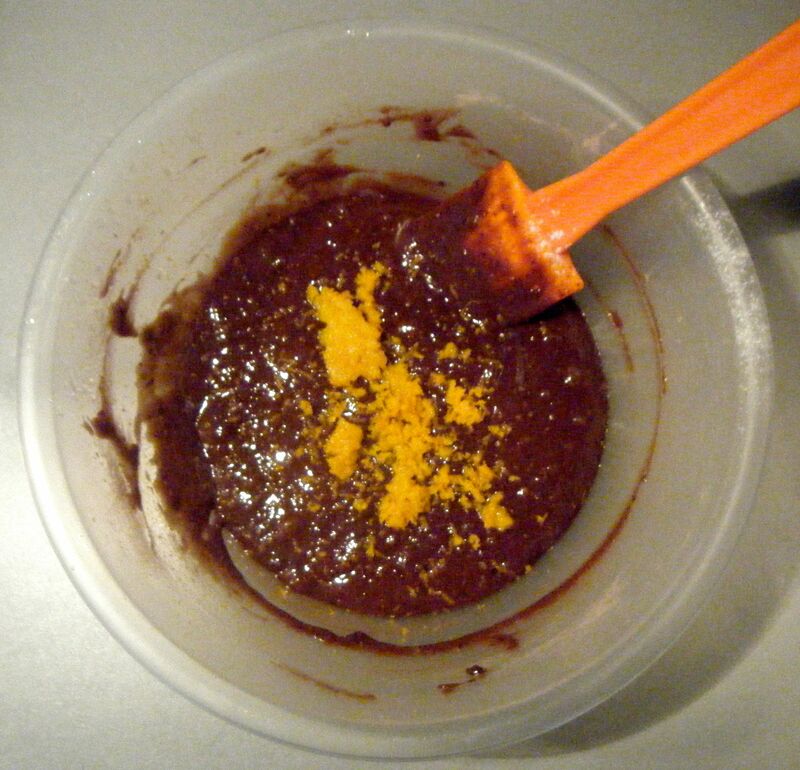 I then added the ground almonds and egg yolks to the chocolate/butter mixture. 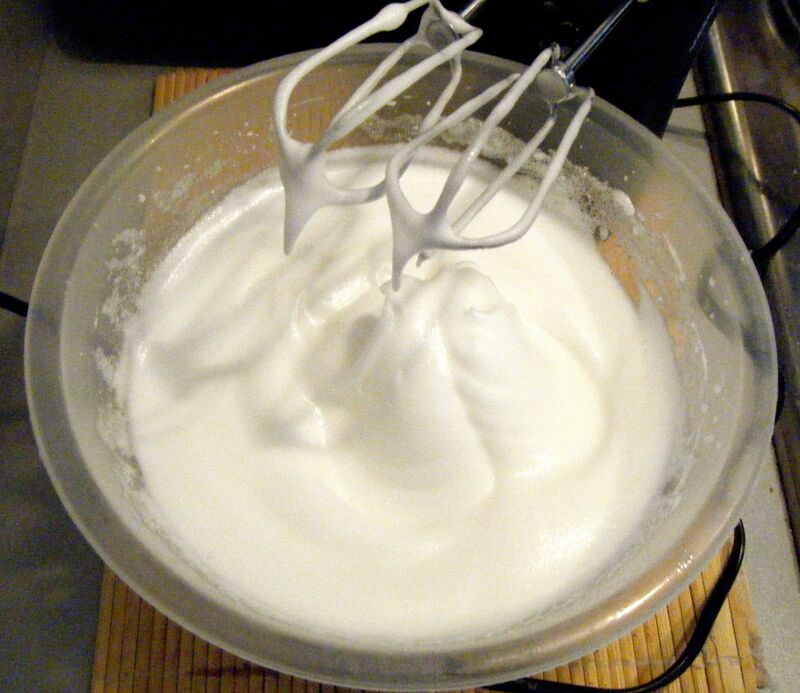 I added a pinch of salt to my egg whites and whisked them into soft peaks. 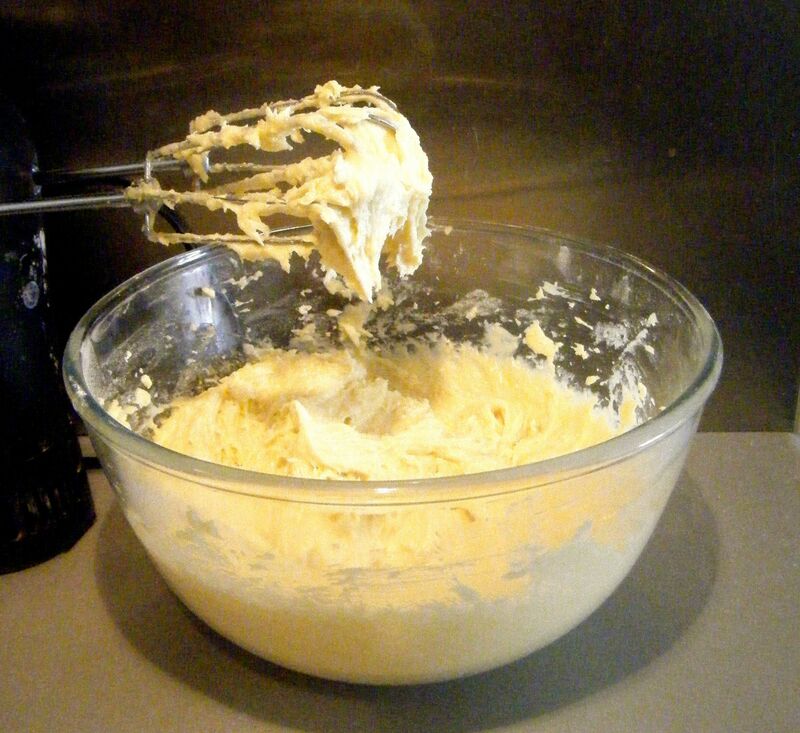 I then added a little of the caster sugar at a time and kept whisking until I had stiff peaks. 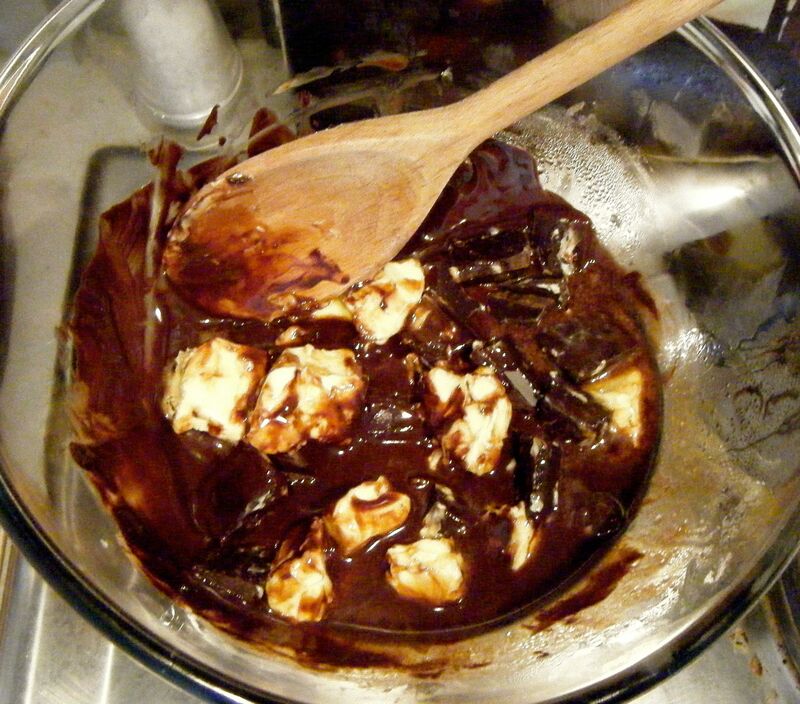 I added 2 large tablespoons of the eggs whites to the chocolate mixture. 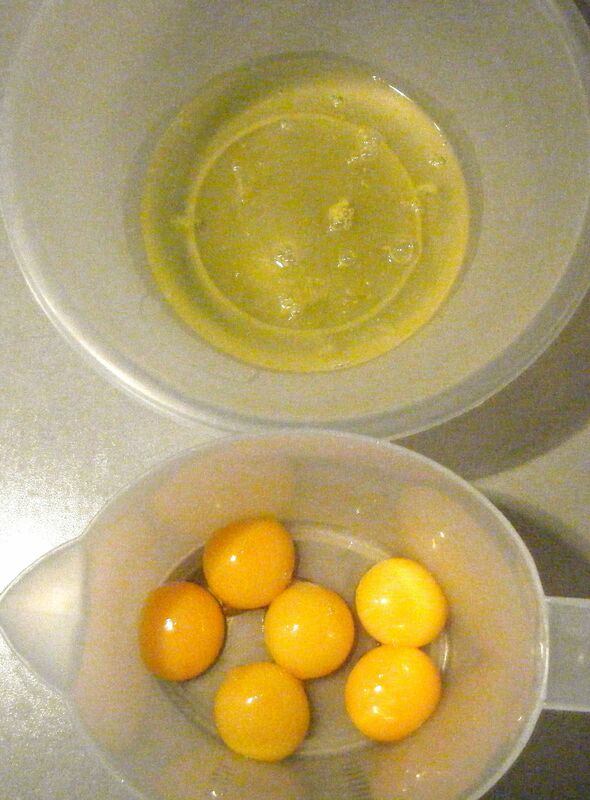 Once it was combined, I gradually added all of the eggs whites, folding it in carefully until all the white was gone. This took longer than I thought it would but I kept my patience as I didn’t want to beat the air out of the egg whites. With the cake mixture ready, I put all my cases on a tray and used a measuring spoon to put a teaspoon of mixture into each case. I then put them in the oven for 8 minutes at 200 degrees celsius until cooked through. Once the cakes were cool, I got started with the panda decorating. 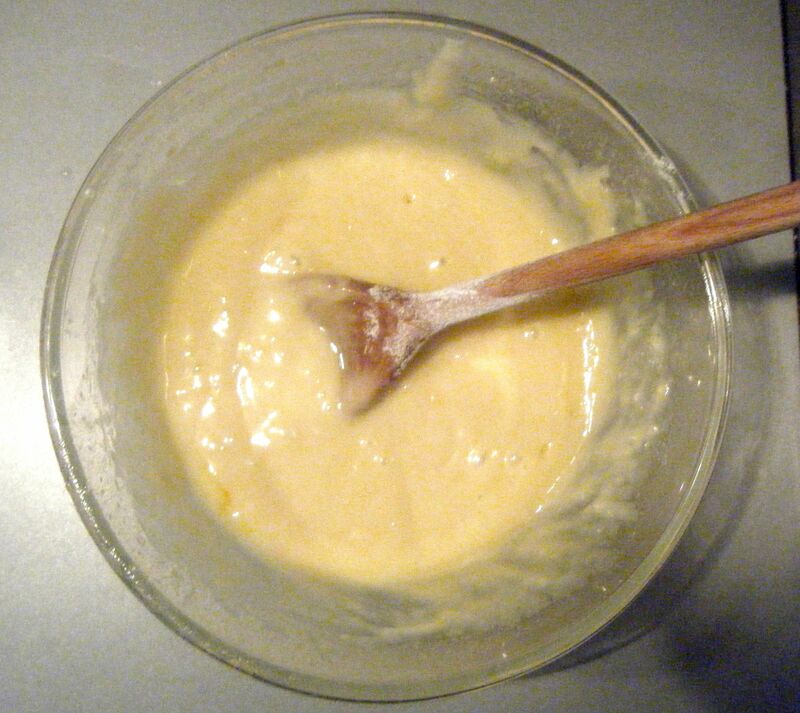 I started by putting 150g softened butter into a bowl and whisked it with my handheld electric mixer. As said in Challenge No. 13, it is important not to rush this stage and so I did this for about 5 minutes. I gradually added the icing sugar, covering the bowl with a clean tea towel and whisking between each addition until combined. I continued adding a bit at a time until all the icing sugar was incorporated and I added the vanilla extract towards the end. 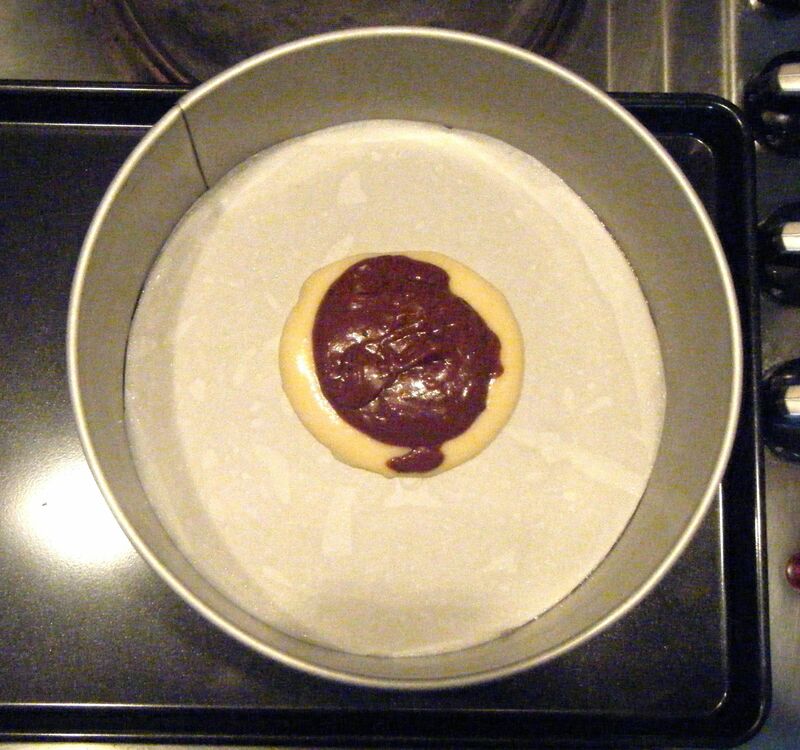 I put 1/4 of the mixture into a piping bag fitted with a No. 2 nozzle and the remainder into another piping bag fitted with a No. P6 nozzle. Now for the fun bit, making the little panda faces. 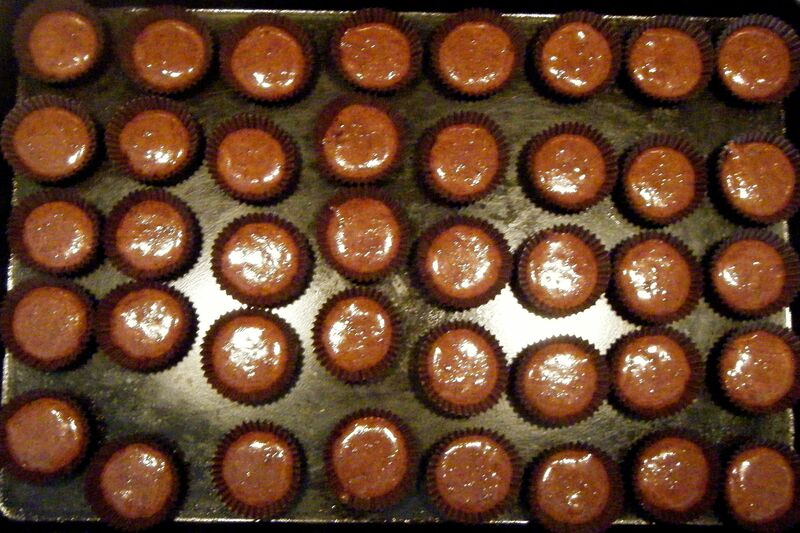 I took each cupcake and pipped icing on top using the wide nozzle before dipping it into a bowl of popping candy (ensuring it was fully covered). I added 2 chocolate drops for ears, 2 for eyes and one for the nose. I then added a chocolate sprinkle for the mouth. Finally, I used the smaller nozzle to pipe the whites of the eyes onto the chocolate drops. Once the whites were set, I used my icing pen to add the black centres. 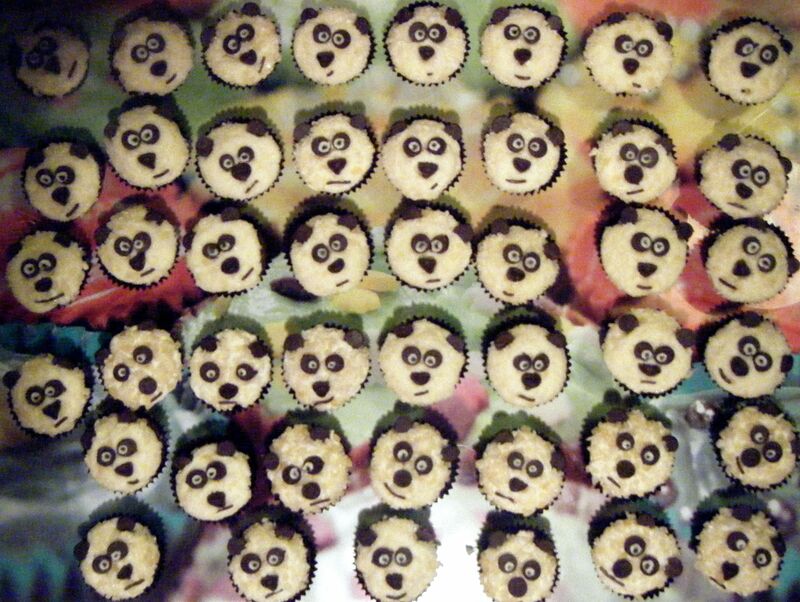 And there you have it, mini chocolate panda cupcakes. I think these are just so cute! They tasted really nice too 🙂 The only problem was that my popping candy very quickly lost its pop! As I was decorating the cakes, I kept hearing the faint sound of the candy popping on the finished cupcakes. By the time I had one the next day, there was no pop left. But this doesn’t take away from how cute they are. Coming up next week, Challenge No. 30 – fig and goats cheese tart.